The best way to perfect both your half guard and butterfly guard is repetition. Fortunately enough, a grappling dummy allows you improve your sweep and submission game from both of these positions. At home, sometimes a grappling dummy is the closest thing to a real live opponent. It allows you to work on your half guard fundamentals, along with an abundance of simple and more complex sweeps. By getting on my hip and utilizing an underhook, the grappling dummy gives me the option to go to the back, come up to a single leg takedown, or transition into the deep half guard. In this particular sweep, I get a deep underhook with my left arm and hook the dummy’s right knee with my left leg. Once I do this, I simply drag my left leg as I simultaneously rotate my hips. This forces my opponent to roll because it takes away his base, leaving him with nothing to post on the mat. This is a highly effective sweep that works on grapplers at even the highest levels. In this next sweep, I start from more of a “Butterfly Half Guard”, with my right instep wrapped around the grappling dummy’s knee. This gives me the leverage to elevate my opponent’s leg and transition into a “1-Leg X-Guard” position. From here, I can finish with a plethora of heel hooks, knee bars, or straight ankle locks. I also have the option to sweep and immediately look to pass my opponents guard. The Shin Shield is a variation of the Half Guard Position. By placing your knee across your opponents body, it maintains distance that can prevent them from passing. This can set up a variety of sweeps and transitions that can advance your position. This is a great position to drill your technique with the grappling dummy. By underhooking my opponents far side leg, it gives me the leverage to reap my shin shield over his leg. This puts me in the perfect position to start attacking knee bars, heel hooks, and ankle locks. The Butterfly Guard is all about having the proper hip dexterity to elevate your opponent and take away his base. The grappling dummy allows you to drill this motion repeatedly, which will improve all facets of your Butterfly guard. From here, you can work your basic hook sweeps, arm drags, and can even transition into the X-Guard position. When I play X-Guard, I like to underhook my opponents near side leg and then extend both of my legs. This is a classic sweep often used by Marcelo Garcia. From here, you can either look for a single leg takedown or pass your opponents guard from a stack position. 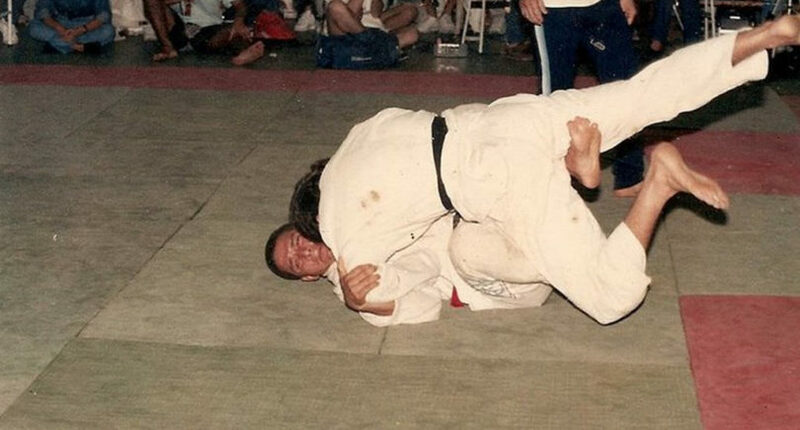 Often times when playing Butterfly Guard, your opponent will look to pass your guard using the Torreando pass. Once they reach to grab your legs, it is the perfect time to utilize the standard arm drag. By cupping the dummy’s left elbow with my left arm, I simply pull myself around it and throw him into the hole. Although it may look like I am “pulling” the dummy, I’m not – I’m simply using my opponent’s arm as a lever to navigate around them. Once I complete the drag, I am in a perfect position to attack the back. As you can see, the grappling dummy is the closest thing to a live roll. If you want to bring your Butterfly and Half Guard game to the next level, I strongly suggest that you check out our Grappling Dummy guide. Until then, make sure and drill these 6 sweeps. They are effective on the highest levels, especially against bigger, stronger opponents.